Patterson serves in a capital advisory capacity in an on-going relationship between Second Fifty Communities and Capital Square, as they invest in senior housing developments within the Southeast. Earlier this year, the pair closed a deal in Charleston, SC, Merrill Gardens of Carolina Park, and this week closed on Merrill Gardens at Bull Street in Columbia, SC. Officials recently broke ground on a 54-acre, multi-use development at the east end of River Street in Savannah. 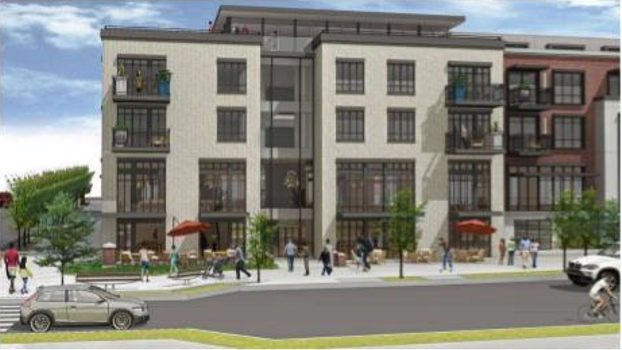 The heavily anticipated project will include housing, hospitality, retail and office space. Patterson Real Estate Advisory Group secured construction debt for the multi-family component of the deal on behalf of Regent Partners, LLC and Mariner Group, LTD.
Patterson recently hosted a distinguished panel of speakers and guests to discuss capital market trends in Nashville. The symposium featured panelists Barry Olson, Managing Director of Goldman Sachs, Travis Johnson, Managing Director of Debt Production – Principal Global Investors, Esko Korhonen, Managing Partner of FCP, and Brad Barton, Mananaging Director of Commercial Real Estate for CIBC. Terry Hughes, Patterson’s Nashville Director, served as moderator. Commercial real estate publisher, Bisnow, recently posted an article featuring the opinions of various industry experts on lessons learned from the Lehman Brothers collapse of September 2008. Lance Patterson was among those leaders. Read his thoughts in the post below. Mallory & Evans Development recently closed on construction financing for its 376-bed student housing development called Bellamy at Daytona in Daytona Beach, Florida. Patterson Real Estate Advisory Group arranged for construction financing with Dallas-based Texas Capital Bank. Work began recently on the newest structure in Charleston’s WestEdge development. The eight-story office and laboratory building, temporarily known as 22 WestEdge, will be the tallest, multi-tenant structure on the peninsula and in the Charleston region when it opens. Patterson procured construction financing. Patterson recently assisted Carter with acquisition financing for The Metropolitan, a 100 year old, 1,100,000 square foot mixed-use asset situated on over 40 acres south of Downtown Atlanta. The acquisition included equity financing with Silver Point Capital and debt financing with LoanCore Capital. Patterson arranged a joint venture equity partnership that recently closed for Rooker Co. In June 2018, the partnership closed on financing for Spartan Ridge Logistics Center, a 273,000 sf industrial building in Spartanburg, South Carolina. Patterson arranged financing for OA Development’s acquisition of a four building, 211,308 square foot portfolio in Imperial Center near Research Triangle Park.